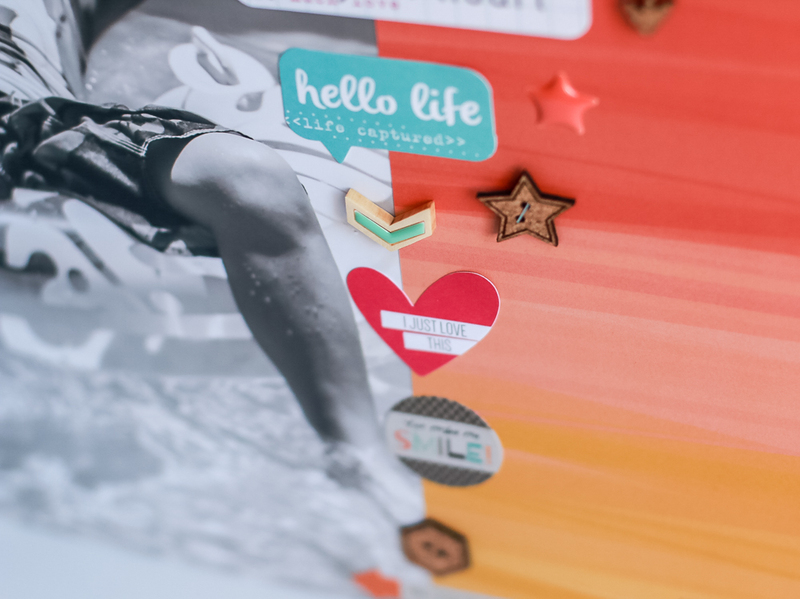 My One Item Wonder for the Scrapbook Circle October Kit was the Cork Shapes by Elle's Studio. I love the little cork arrows, stars and other shapes. They were not self adhesive so I decided to have fun attaching them with staples. 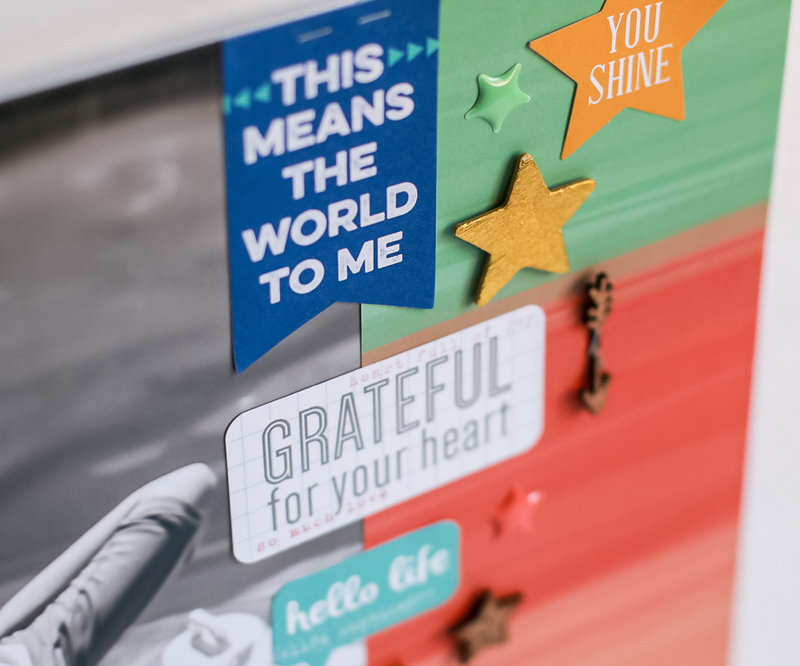 I used my Tim Holtz Mini Attacher and combined elements from the Scrapbook Circle Main Kit On This Day as well as the add on Good Times and add on Right Now. I love adding staples to embellishments for boy layouts and the combination of colors of the staples and cork worked perfectly here. The combination of textures is fun too. Be sure and check out the October kit soon because it is selling fast! Great page, love how you put everything together!